The Bay Area Bike Share program is expanding dramatically from 700 bikes to 7,000 bikes. The bikes are easily recognizable in Downtown San Jose by their light blue color. The expansion will roll out in five phases over the next two years. 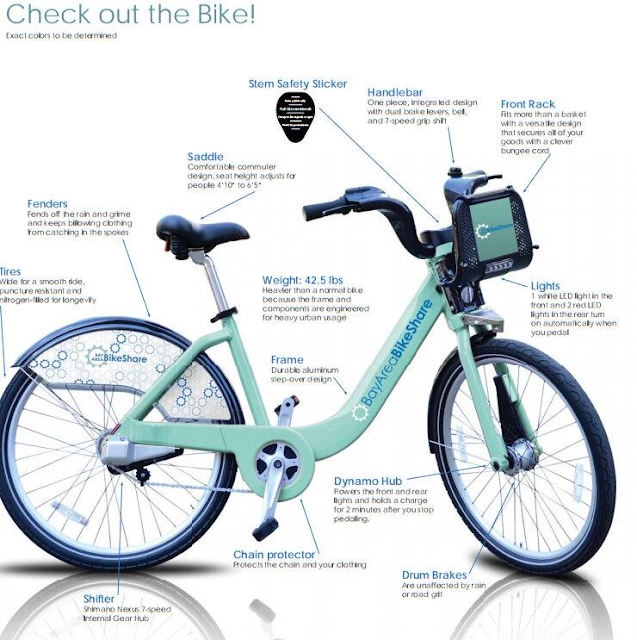 In order to choose the best locations for the new bikes, Bay Area Bike Share is collecting community input through a series of workshops. Two of those workshops are in San Jose. If you want to influence the future of the program, all you need to do is participate and let your voice be heard. At minimum, you can go online and suggest a San Jose location over here.